This is a set of two RPM "Revolver" SC Spline Drive Short Course Truck Wheels, and are intended for use on the front of the Traxxas Slash 2WD truck. 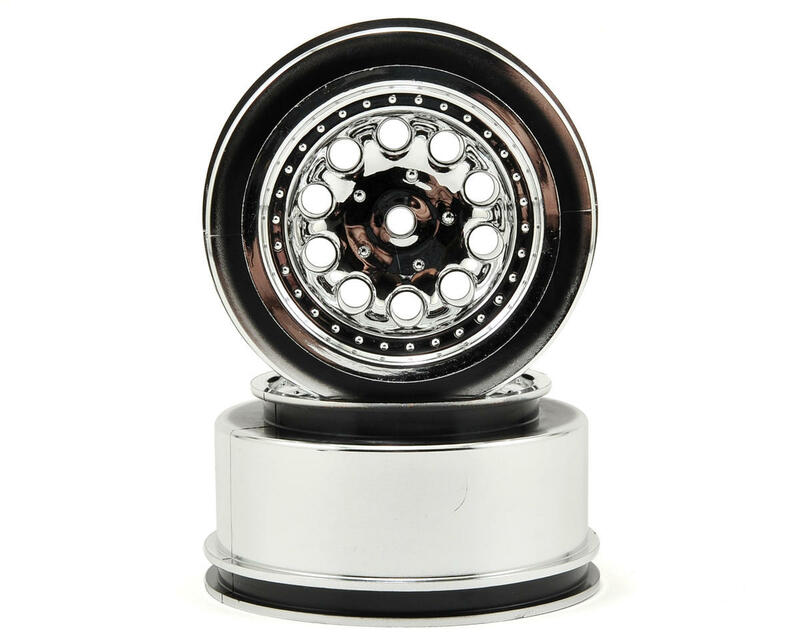 The most popular RPM wheel, the Revolver, is now available in a Short Course version (2.2” – 3.0”). RPM Revolver Short Course wheels are built tough, like all RPM products, look incredible and have an all-new drive system that is built to withstand some serious power. Additionally, RPM Spline Drive has almost twice the amount of drive surface area versus a standard 12mm hex adapter and over 2.5 times the thickness at the most critical drive point of the adapter, the point that, if it fails, a standard hex adapter will spin. Even 17mm hex drives don’t stand up to the RPM Spline Drive system. While a 17mm hex has marginally more surface area (.0777 sq. in. vs. .0744 sq. in. ), RPM's system still has nearly twice the thickness at that critical drive point, preventing RPM Spline Drives from spinning, yet eliminating the need for a huge and heavy 17mm adapter. 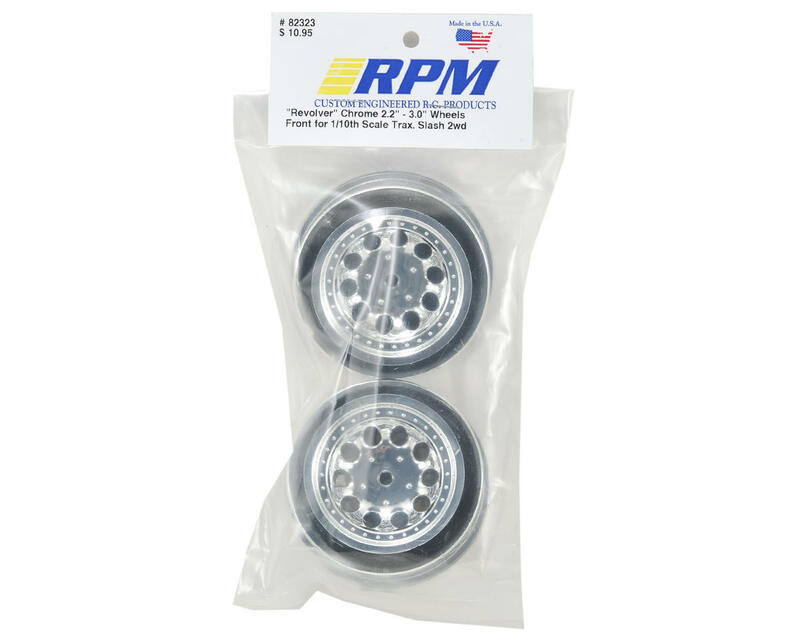 RPM Revolver Short Course wheels are sold in pairs (spline drive adapters are included in each package), available in black or chrome and backed by RPM's industry-leading breakage warranty for unsurpassed strength and durability.